Every winter I feel like I count down the days until I can break out my sandals. There is just something about sandals that makes my feet happy. We used to have a policy at work that we couldn't wear sandals at all unless they were heeled sandals, but that rule has become more lax over the years. Now I fully embrace the sandals on casual Friday. I am here to share my favorite Summer sandals. Bali Elf Sandals - These are my newest edition to my sandal collection and seriously my favorite pair right now. If I had more money, I would buy them in black as well, but the price tag hurts. But believe me, they are totally worth it. They are comfy, super soft and just so cute. Birkenstock Gizeh Sandal - I never had Birkenstocks growing up. So many of my friends did. I just didn't think they were cute, but then I grew up and Birkenstock came out with more updated versions of their classic shoe. That is when I thought I could get on board with them. I know they are unbelievably comfy (once broken in) and now they offer cuter versions. I have the Gizeh sandal and I love them. Dolce Vita Sandals - I got my lace up wedge sandals about two years ago for my birthday. They were all the rage and I soooo wanted them. When my husband gifted them to me, I wore them all the time. And I still do. I can wear them with shorts or with a summer dress for date night. Super versatile and cute. They are not offered anywhere anymore, but I found a pair that are similar on 6pm.com that you can get. 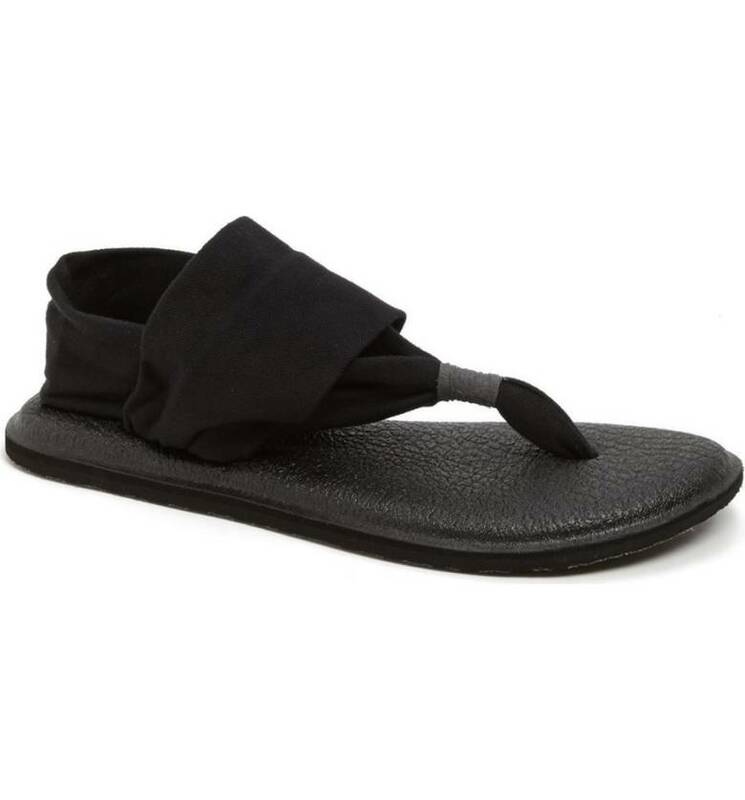 Sanuk Yoga Sling 2 Sandals - Do you want the most comfy sandals ever? 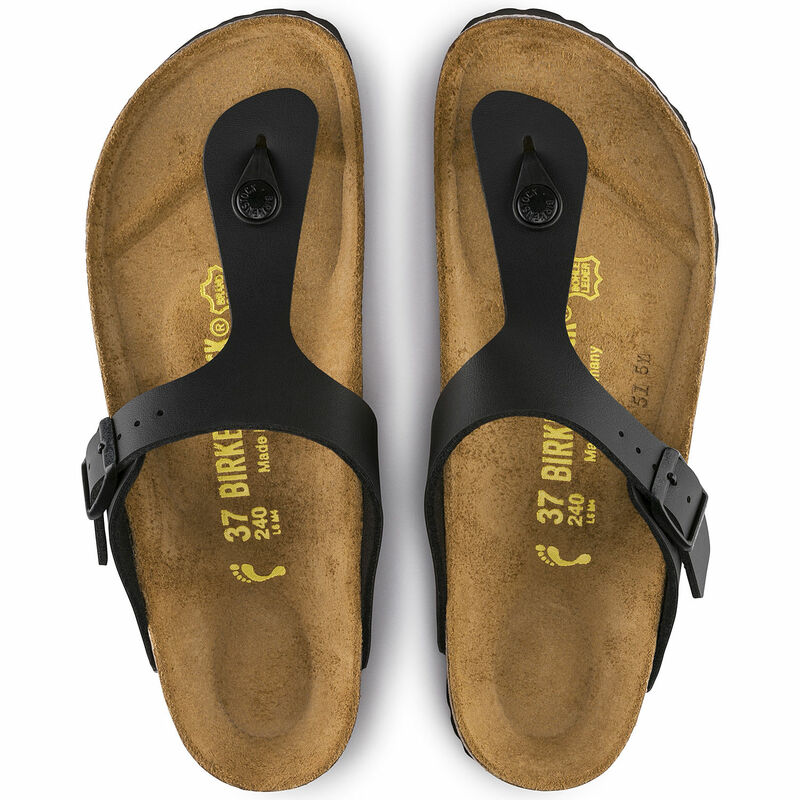 Enter the Sanuk Yoga Sling 2 sandals. The bottoms are made of out a yoga mat material and the top has the softest ankle strap. I have two pairs of these (black and tan with aztec print) and love them. I wear them out camping, walking Walter and just around. They even hold up after getting wet over and over again. DV Gladiator Sandals - I purchased these sandals at Target last year and now they are on clearance for $19.98. Such a steal. Anyways, every time I wear these, I get compliments on them. They are cute, comfy and zip on the side. That means they fit people even with high arches, like me. And they go with everything. Thank you Dara for this post inspiration. These are all cute! I love my DV wedges still and wear them all the time. I stil want those Bali Elf's, I just cant decide which color and Sanuk yoga mat sandals are the BEST!! Oh I want all the colors. I have the brown ones and now I want the black ones really bad. They are the best sandals for running around in. So comfy. The Bali Elf Sandals are to die for!!!!!! You know I love your Bali elf's and those yoga ones look so cute. May need for summer. Aw, glad I inspired! We both love sanuks! 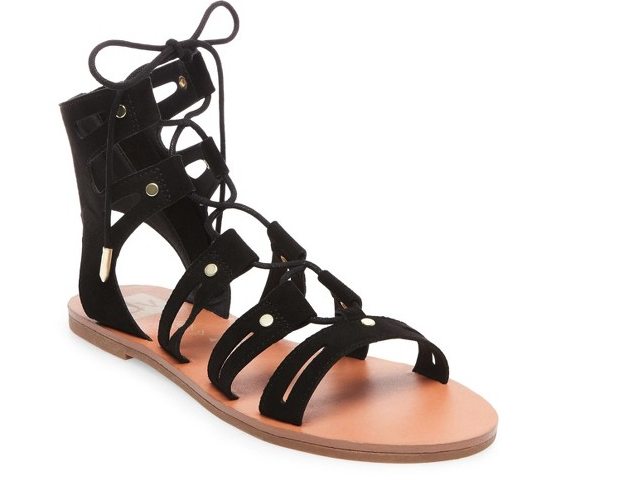 I have gladiator sandals too, from Old Navy, and I get a lot of compliments on them! I love love my Birkenstocks!! They are the best, once broken in. I live in them during the summer. These are all so cute! I have a similar black pair from Target that is such a staple. And those yoga mat sandals... whaaaat?! I may need to look into those! I have a couple of those yoga sling sandals and they are so comfortable!!! I love those Bali elf sandals! I really like the electric blue, but brown is so much more practical at that price. Love the footwear this time of year so much! Those Bale Elf ones are seriously so cute!!!! I dont even know what color I would want, I wish they were about half that price lol. My SIL wears the yoga sling ones constantly in the summer. They look so comfy! The Gizeh is my summertime go-to, particularly if I've done by long run in the morning, because otherwise my feet will just ache. They are SO comfy! SO dang cute! Thanks for sharing! I love those Elf sandals, and the new blog look!